As we all know that online business is rapidly gaining vogue in this technical era and so does the business listing sites. This is because these listing sites can make your business visible as well as powerful on the internet. These sites are very significant as it submits your business information along with website to relevant directories. The quality of the listing sites is crucial, and it is an ideal option to stay with the best. Therefore, here are ten businesses listing sites across the globe that offer you the excellent services. The topmost search engines like Google, Yahoo! and Bing doesn’t only contain an immense information, but also allows you to submit your business on the internet. These search engines have their own local listing site which offers submission, up gradation and other services to make your business remarkable on the internet. Every 4 in 5 customer conduct local searches through these search engines and 88% searches is done through smartphones. Mainly used in America, it is renowned for crowd-sourced reviews about local businesses, online reservation service and online food-delivery service. Recently, approx 135 million monthly visitors and 95 million reviews are noticed on this site. Two years ago, Yelp added additional features for ordering and scheduling manicures, flowers, golf or legal consultations and other similar things to provide you more convenience. For small business network, MerchantCircle is an online business directory and a wonderful marketing platform. Being a California-based company, it works as a tool that can enhance the business network with multiple local businesses. Moreover, a huge service such as uploading pictures, writing blogs, creating coupons, sending online newsletters and a tremendous are offered by this site. Due to these services, it contains organic traffic of 220100 visitors every day from some top ranking keywords. Local.com comes under a different group of free company listing sites. This site uses patented and proprietary technologies to provide over 20 million consumers each month with relevant search results for local businesses, products and services. Across the world, it encourages user interaction as it is having more than 54334 top ranking keywords on the best search engines. Nowadays, this site is having almost 800 partner sites and 70,000 small businesses. This site strictly follows the logo “Where Small Business Grows.” Millions of people come to Manta each day to buy from, partner with and connect to companies. Its sponsors are involved in, small business events and trade shows across the United States. To enhance your knowledge about all things, it also provides daily tips, topical articles and Manta’s wide-range of industry research. Just like others, it is a leading local marketing solutions provider in the US dedicated to helping local businesses and communities grow. Every month, approx 70 million visitors use this website for connecting consumers with their business. The multiple features of this site involve online presence, local search, display advertising, direct marketing and a lot more. According to a study by Burke and comScore, Internet Yellowpages searches grew by 14% in 2010. The BBB was started in 1912 as an advertising watchdog group, and has evolved steadily into the BBB we know today. It is a well-known non-profit consumer protection agency that operates in the United States and Canada. It has a mutually-supportive relationship with more than 200 organizations and 113 local BBBs. Various customer services such as warning you about scams, locator and much more are also provided by this site. With some different services, Whitepages makes its unique image among other business listing sites. No doubt that it has the largest database available about contact information on US and Canada residents. An innovative service of this site is that it develops mobile apps and business services that make use of its contact data. During time period of 2008 to 2013, Whitepages released several mobile apps, social features and the ability for consumers to control their contact information. CitySearch is known as one of the biggest online city guides that contain almost every business. At CitySearch, a vast majority of “Best Restaurants”, “Best Nightlife”, “Best Spa & Beauty”, “Best Shopping”, “Best Hotels” and other “Best” services are available. This site has also acquired its two major competitors known as SideWalk.com and Insider Pages. Apart from this, more than 1472000 keywords of Citysearch are in the top 20 Google search. With slogan “Foursquare helps you find places you’ll love, anywhere in the world”, this site has attracted more than 50 million people to discover great businesses and share what they love about them. For your comfort, it supports multiple languages such as French, Italian, German, Spanish, Japanese, Indonesian, Korean, Portuguese and a lot more. It also launched “Swarm” app in 2014, to change the scenario of social networking and location sharing services into a separate application. 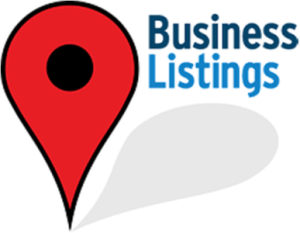 Business Listing Sites are an ideal option to get highest conventional referral traffic. It’s sometimes also work as an SEO tool to enhance the traffic on a website. You can aware your customers by providing a in depth details about your business, products and services.